Do you feel younger and more vital than you look? A “Botox” treatment relaxes and harmonises your facial features. 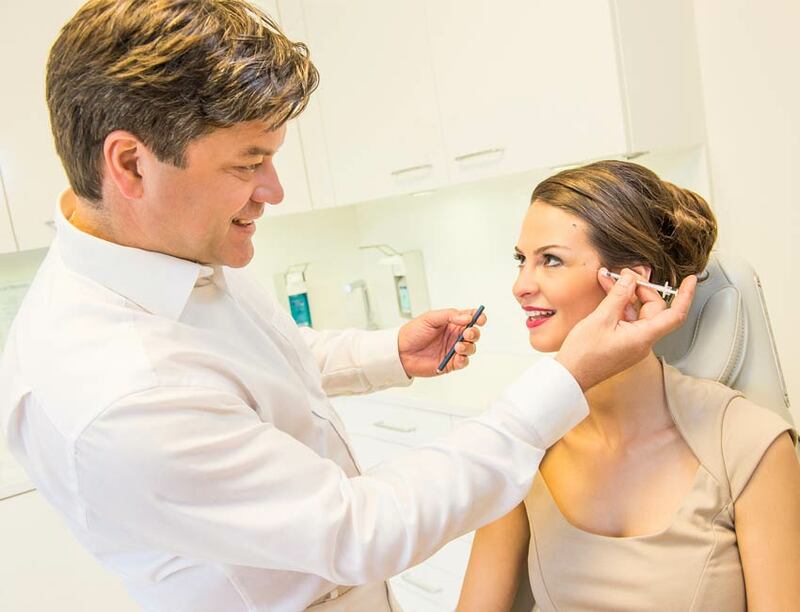 We have decades of experience in the field of wrinkle treatment and use botulinum toxin in such a way that your face does not lose its vitality. Botulinum toxin provides us with an active ingredient that specifically attenuates mimic muscles and helps eliminate certain unwanted wrinkles. 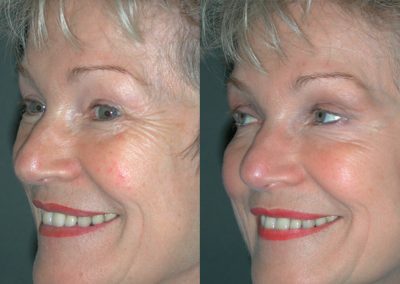 In particular, the vertical folds between the eyebrows (frown lines), the radial folds to the side of the eyes (crow’s feet) and the transverse wrinkles on the forehead. 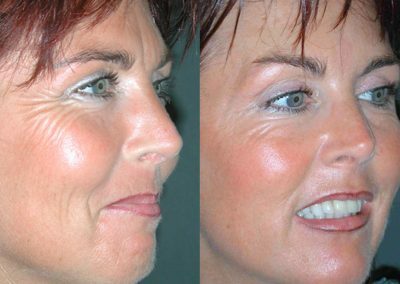 But also other wrinkles, for example, laterally below the nose, on the lower eyelid, on the cheeks and corners of the mouth, as well as on the neck, can be treated with botulinum toxin. 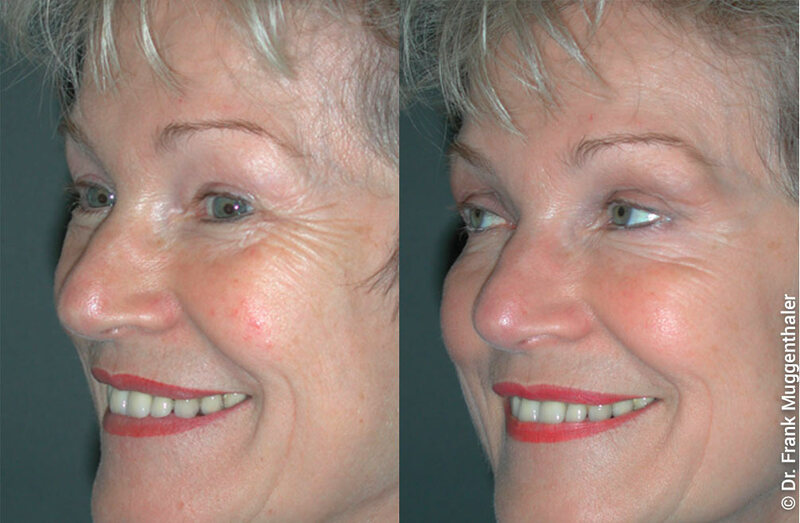 Botulinum toxin is injected with a very fine needle at the marked points. The treatment success lasts for about 4 to 6 months. At the beginning of a Botox treatment (botulinum toxin) is a detailed analysis of the face. In addition to wrinkles, the underlying facial expression and the general proportions of the face are decisive for a natural facial expression. Botulinum toxin is injected with a very fine needle. The pain caused by the injection is minimal, so that a local anaesthesia is not necessary. Occasionally a circumscribed haematoma may occur at the injection site. The effect begins after two to three days, with the maximum effect only recognisable after about two weeks. As a result of the weakening of facial expression, persistent smoothing of wrinkles occurs. The treatment success lasts about four to six months. Treatments with botulinum toxin can be repeated any number of times. 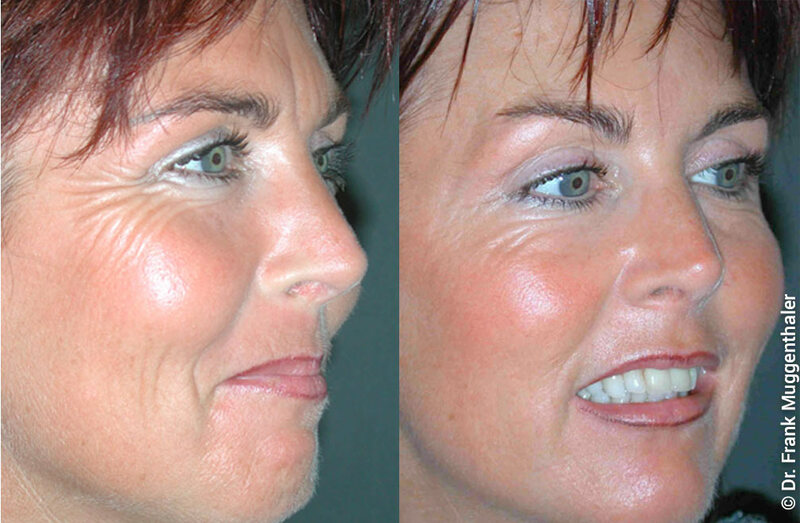 If wrinkles do not disappear even after weakening the disturbing facial expressions, so-called fillers can be used. 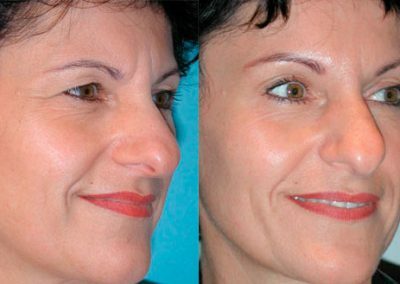 The “classic” uses of botulinum toxin are the vertical wrinkles between the eyebrows, the radial wrinkles on the side of the eyes, and the transverse wrinkles on the forehead. 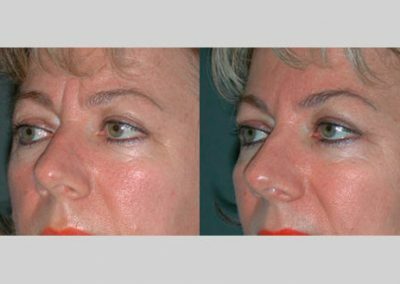 In addition, many other wrinkles can be brought under control, for example, laterally and below the nose, on the lower eyelid, on the cheeks and corners of the mouth and on the neck. Which wrinkles can be corrected with botulinum toxin? The Botox treatment is very effective in alleviating the wrinkles between the eyebrows and the crow’s feet on the side of the eyes. Even transverse forehead wrinkles can be smoothed well. In addition, however, wrinkles under the eyes, on the cheeks, the corners of the mouth and the neck can be corrected. What is the risk of facial paralysis? Minimal if the doctor has sufficient experience. Botulinum toxin has been used as a drug for over 20 years. Since that time, the mode of action has been documented in great detail. Very fine needles are used which hardly cause any pain. Is there an immediate result? No, the effect is evident after approx. 5 – 10 days. Usually 4 – 6 months. Can botulinum toxin treatments be repeated as often as you like? A restriction is not known yet. How does the body react to repeated botulinum toxin treatments? The treated muscles become weaker and weaker, resulting in better and longer lasting results. Can you combine the Botox treatment with other treatments? To smooth out wrinkles, a combined treatment with hyaluronic acid is also performed to improve the smoothing of wrinkles. Can you use botulinum toxin to prevent sweating? Yes. Disturbing perspiration can be safely and specifically eliminated with botulinum toxin. Does botulinum toxin help with headaches? In about half of migraine patients, pain disappears after treatment or is at least alleviated. In these cases, a reimbursement by the health insurance is possible. What should I not do after a Botox treatment? The affected areas should not be massaged and excessive sweating should be avoided on the day of treatment. Otherwise there are no restrictions. 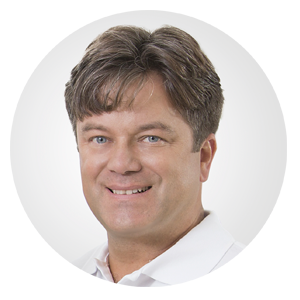 The most frequently asked questions about Botox treatment are answered by Dr. Frank Muggenthaler on this page. Can’t find an answer to your question here? Then get in touch with us! We will answer all your questions, gladly in a personal consultation in our practice in Basel.